The board agrees that strategic planning needs to occur. The board and staff search for a date that will work for everyone. A strategic planning date is selected. The board and staff debate whether or not an outside facilitator is needed. Staff spends a significant amount of time preparing for the meeting. On the morning of the meeting, bagels and donuts are purchased. Staff looks at the last strategic plan sitting on the shelf, and decides to drown their frustration in bagels and donuts. Somewhere around mid-morning, staff regrets that decision. Multiple flip charts are used to capture the board’s brainstorming. Those flip charts and notes are translated into a new strategic plan. Staff takes old strategic plan off the shelf, replaces it with the new strategic plan. This process, or a similar one, is why strategic plans have come to have a bad name in some circles. Rather than being a living, breathing document that can help guide an organization in unknown or challenging times—the exact time when you need a strategy most—strategic plans instead become a document that sits on a shelf as a frustrating reminder of how time, talent, and resources can be wasted, even with the best of intentions. So what’s the alternative? Do you just “wing it”? Do you just let your organization respond to strengths, weaknesses, threats, and opportunities (or, as we all know them, SWOT) as each of those circumstances develop? No, or at least not if you want to lead a sustainable organization. Instead, your board needs to go from strategic planning to “strategy and planning”. Rather than writing a plan that responds to the issues of a given moment in time, your board needs to integrate strategy and planning into its standard operating procedures. That’s why BoardPaq, the board portal of choice for a wide range of organizations, including school boards, credit unions, community banks, and trade associations (among others) has become the first board portal to integrate a SWOT analysis tool into its product. For example, does your school district have an upcoming bond override vote? Or does your credit union’s leadership need to discuss how the United Kingdom’s “Brexit” and its impact on interest rates will influence demands for loans and mortgages? Those are the types of issues that your board can’t always anticipate in traditional strategic planning. The need for a bond override election may be the response to a specific budget crunch in your state. And, just a few weeks ago no one would have anticipated the United Kingdom leaving the EU—and lower interest rates on mortgages in the United States because of that decision. But unpredictability is a part of life, and exactly why your board needs to engage in “strategy and planning”, and real-time SWOT analysis. 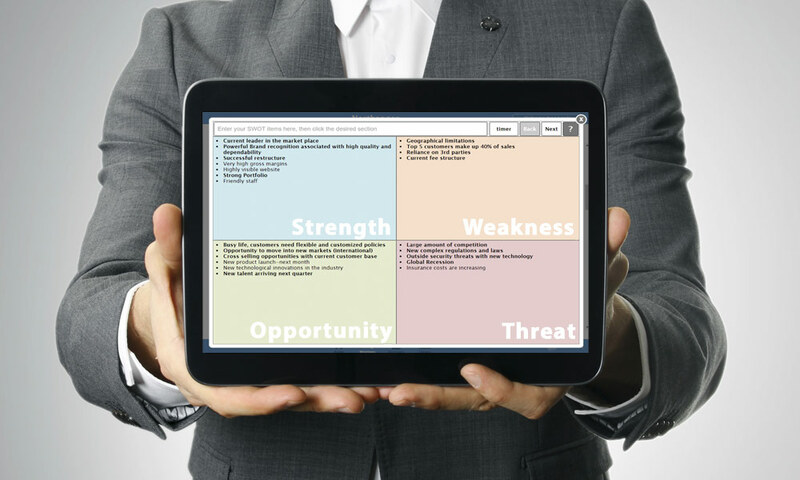 And now your board can do that with BoardPaq, and its new tool that allows boards to conduct a SWOT analysis of any given agenda item—including the agenda items you could have never anticipated when you took your last strategic plan off the shelf. Want to learn more? Schedule a demo here!